Figuring out how to invest money in order to effectively set yourself up for future success can sometimes be a real challenge. There’s certainly no shortage of information on investing available in the digital age, however, this glut of information can often be as overwhelming as it is helpful. To help you get a solid grasp of investing in a way that is comprehensive and at the same time not overly complicated, we’ve put together this guide to investing money for beginners. Outlined below you will find everything you need to know to start investing and begin preparing yourself financially for the future. When figuring out how to invest money, it’s best to start with the basics. These basics include what the goal of investing is as well as where to invest money. When you invest money, what you are doing is either buying a portion of a company or a commodity with the belief that the value of that company or commodity will grow over time. Investing is not a get-rich-quick scheme, but rather a way to consistently grow the wealth you already have. The good news is that even though investing is a way to grow your wealth, you don’t have to have a lot of money to get started. Compounding interest dictates that even small sums of money can be turned into fortunes over time, providing you select the right investments. The most common and arguably most beneficial place for an investor to put their money is into the stock market. When you buy a stock, you will then own a small portion of the company you bought into. When the company profits, they may pay you a portion of those profits in dividends based on how many shares of stock you own. When the value of the company grows over time, so do the price of the shares you own, meaning that you can sell them at a later date for a profit. When you purchase a bond, you are essentially loaning money to either a company or the government (for US investors, this is typically the US government, though you can buy foreign bonds as well). The government or company selling you the bond will then pay you interest on the “loan” over the duration of the bond’s lifecycle. Bonds are typically considered ‘less risky’ than stocks, however, their potential for returns is much lower as well. Rather than buying a single stock, mutual funds enable you to buy a basket of stocks in one purchase. The stocks in a mutual fund are typically chosen and managed by a mutual fund manager. These mutual fund managers charge a percentage based fee when you invest in their mutual fund. Most of the time, this fee makes it difficult for investors to beat the market when they invest in mutual funds. Also, most mutual fund investors don’t actually ever beat the stock market. By far, the least risky way (and probably the worst way) to invest your money is to put it in a savings account and allow it to collect interest. However, as is usually the case, low risk means low returns. The risk when putting your money into a savings account is negligible, and typically, there are little to no returns. Still, savings accounts play a role in investing as they allow you to stockpile a risk-free sum of cash that you can use to purchase other investments or use in emergencies so you don’t touch your other investments. Physical commodities are investments that you physically own, such as gold or silver. These physical commodities often serve as a safeguard against hard economic times. It’s never too early to start investing. In fact, just a few years of a head start can often lead to hundreds of thousands of dollars more money by the time you retire. When you’re investing in your 20s, it’s best to start out by focusing on paying off any debt you may have such as student loans or credit-card debt. Debt works just the opposite of investments, exponentially decreasing your wealth rather than exponentially growing it, so it’s a good idea to make getting debt-free your first and foremost goal. Once you have your debt under control, start researching the stock market and investing as much as you can. Take in as much information as you are able, and start highlighting quality companies that you believe will grow in value over time. We’ll talk later about how to find good investments, but for now, know that once you have a few companies chosen, it doesn’t matter how much or how little you are able to invest. It’s always a good idea to invest as much as you are able, but if you start in your 20s investing as little as a few thousand dollars a year, you will be well on your way to preparing for retirement. Many people view investing as a form of income, and some are quite successful at making a living by trading stocks. This is the most glamorized form of investing, however, it isn’t the type of investing that most people benefit from. Most people benefit from long-term investing. This involves letting your money compound in the stock market over 10 and 20 years. Long-term, value investing is how people retire rich. Short-term investors make money by trading in and out of stocks over a short period of time rather than buying and holding them for several years. While you certainly can make money doing this, the problem is that no matter how skilled at trading you become, there will always be a big element of luck involved. For beginner investors, short-term trading comes down almost entirely to luck, and you can easily lose as much or more than you profit. Rather than thinking about investing as a way to make short-term gains, it’s better to think of investing as a way of making long-term gains. Keep in mind that you’re still making money either way. With long-term investing, though, you are able to minimize your risk and negate the sometimes-crushing effects of short-term volatility and price-drops. Where to Invest Money to Get Good Returns? Investing money for small returns is incredibly easy and almost fail-safe. For example, you can put your money in US treasury bonds and be almost guaranteed to earn 2-3% annual returns on your investment. The problem is that 2-3% returns are not nearly enough for most people to reach their retirement goals. To actually build enough wealth to retire comfortably on, you’re likely going to have to seek out higher returns. By far the best place to find these returns is the stock market by learning Rule #1 investing and buying wonderful companies on sale. A wonderful company is one that will continue to grow as the years go by, surviving whatever challenges the market may throw at them along the way. If you are able to find these companies to invest in, achieving average annual returns upwards of 15% is certainly within the realm of possibility. Over the past 90 years, the S&P 500 – which is an index of the 500 biggest companies in the US and a pretty good reflection of the overall stock market – has delivered an average annual return of 9.8%. 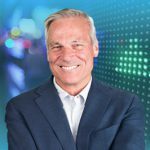 This means that if all you did was take your money and dump it into the S&P 500 with no time spent researching and choosing stocks, you could still expect to make 3-4 times more than if you invested in bonds and upwards of 10 times more what you would earn putting your money in a savings account. Investing in a 401(k) is another way to invest in the stock market. The real value of a 401(k), though, comes if your employer is willing to match a portion of your contributions. This is essentially free money that doubles your investment regardless of what the market does, and it is certainly something you should take advantage of if you have the opportunity available. Once you’ve reached the maximum amount of money that your employer is willing to match for the year, though, investing in a 401(k) becomes less desirable. What’s the Best Way to Invest Money? Of the investment options available, investing in the stock market is the option that offers the most potential for reward. However, you can’t blindly put your money in stocks chosen at random and expect to achieve great returns. In order to succeed investing in the stock market, you have to use a system and a strategy. At this point, I’d like to introduce you to what I firmly believe is the most effective investment strategy available today – Rule #1 investing. Rule #1 investing is a process for finding great companies to invest in at a price that makes them attractive. The pillars of this process are the 4Ms of Rule #1 investing, which are guidelines for determining whether or not a company is worth investing in. One important factor to consider when analyzing the investment potential of a company is its management. Companies live and die by the people who are running them, and you need to make sure that any company you invest in is managed by executives who are honest, talented, and determined. Before you invest in a company, take the time to thoroughly familiarize yourself with its management, and make sure that you trust them to grow the company going forward. If you are going to invest in a company, it needs to have some sort of personal meaning to you. There are a couple of reasons why this is important. For one, you are more likely to understand companies that have meaning to you. This means that you will be better able to analyze the future of the company. 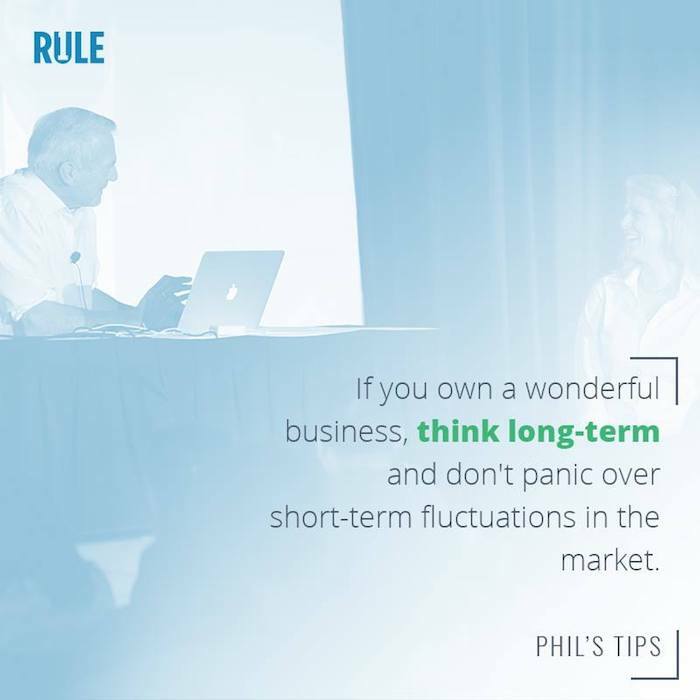 Investing in a company that has meaning to you and that you believe in also makes you more likely to research the company and stay on top of what is happening with it – which, in the end, is a big part of being a successful investor. When a company has a moat, it means that it is difficult for competitors to come in and carve away a portion of that company’s market share. The final of the 4Ms of Rule #1 investing is Margin of Safety. The Margin of Safety is a measure of how “on sale” a company’s stock price is compared to the true value of the company. 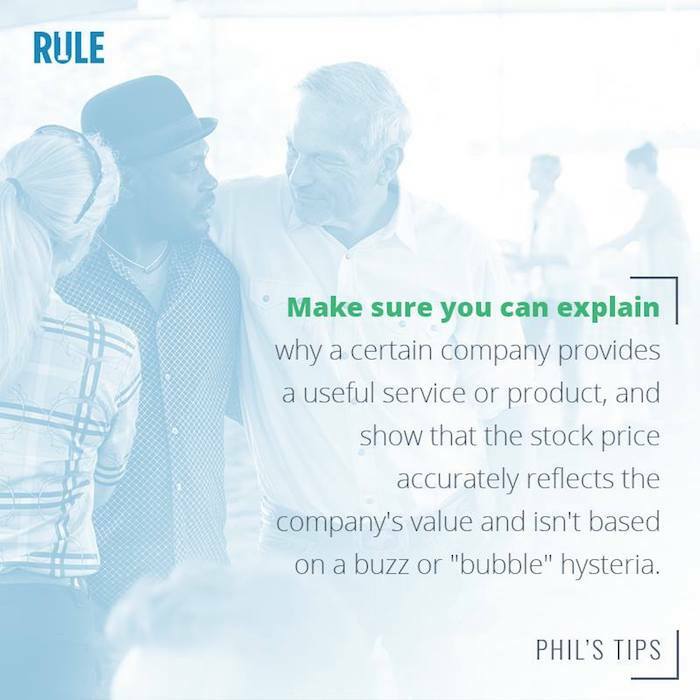 The difference between price and value is an important distinction, as a company’s stock price can vary wildly without their value ever being affected. As Rule #1 investors, the goal is to find wonderful companies for a bargain price (50% off their actual value). By using our margin of safety calculator, you can determine whether a company’s stock price is on sale relative to the true value of the company. If you want to learn more about the 4Ms of Rule #1 Investing click the button below. Getting started investing is simple. Online trading platforms such as TD Ameritrade, and many others have made it easier than ever for beginner investors to buy and sell stocks without having to go through a traditional stockbroker. If you want to practice, you can read more here about paper trading. However, in order to give yourself the best possible chance at succeeding as an investor and reaching your retirement goals, you will need to learn as much about investment strategy as you can as well as how to practically apply the strategies that you learn. To this end, one of the most beneficial things that you can do is enroll in a free beginner investing course. Stock trading courses that are designed for beginner investors are able to teach you everything you need to know about the stock market, how to choose quality companies, when to buy and when to sell, and much more. They are designed to thoroughly walk you through the process of investing one step at a time, teaching you investment strategies and how to apply them in a much more efficient way than the bombardment of sometimes confusing and contradicting information you will be able to find online. If a beginner stock trading course sounds like something you could benefit from, I invite you to check out my Intro to Rule #1 Investing course. 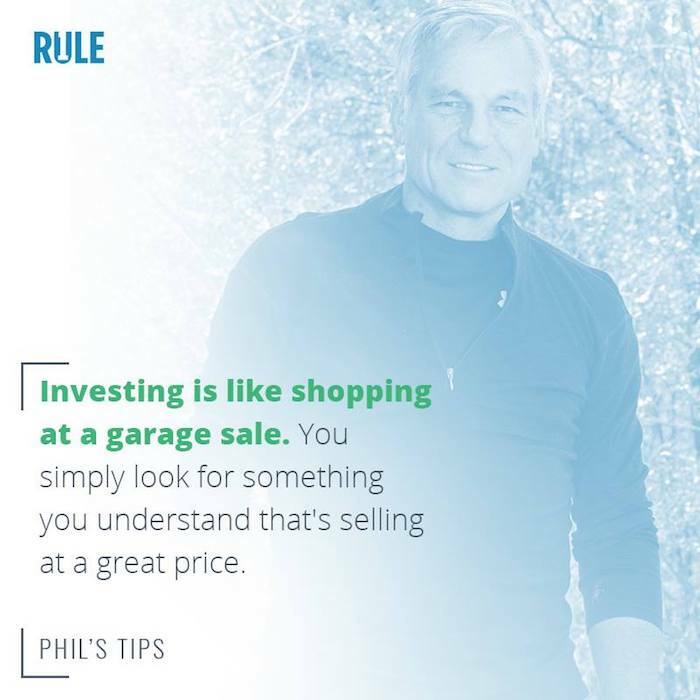 This course is free to sign up for and is designed to teach you the fundamentals of Rule #1 investing that you can use to find wonderful companies at an attractive price and start achieving the types of returns that will set you up for future success. There is a lot of information out there when it comes to learning how to invest money. There's really only one real answer: The Stock Market.